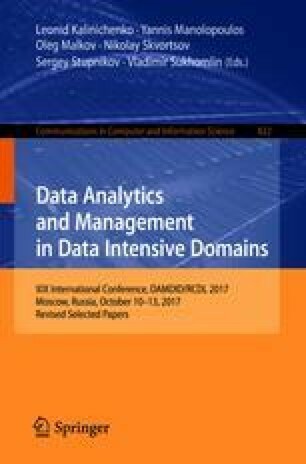 The use of the OWL-ontology of climate information resources on the web-GIS of the Institute of Monitoring of Climatic and Ecological Systems, Siberian Branch, Russian Academy of Sciences (IMCES SB RAS) for building an A-box of knowledge base used in an intelligent decision support system (IDSS) is considered in this work. A mathematical model is described, which is used for solution of the task of water freezing and ice melting on the Ob’ river. An example is given of the reduction problem solution with ontological description of the related input and output data of the task. The authors thank the Russian Science Foundation for the support of this work under the grant 16-19-10257.